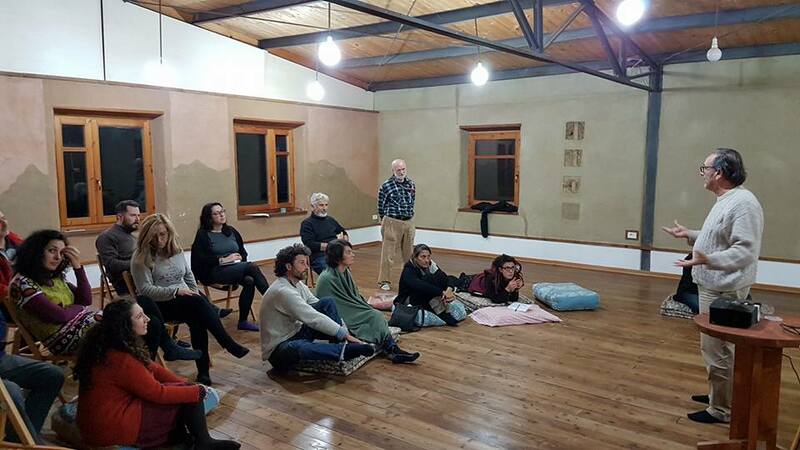 Deborah Rim Moiso reports on a gathering of Transitioners and other to train, reflect and design following the recent earthquakes in Italy. Everything flowing, everything shaking. We are shaken people, in a shaken land. We are in a space of not knowing. We come from different backgrounds, carrying different abilities. We feel the need to listen to ourselves and to each other, and to act. We wish to share stories, examples, narratives and tales, in a common search for sense, vision, awareness, projects. We are opening a space to meet and offer resources for beauty, resilience, humanity, care. In August 2016 a devastating earthquake hit the mountains of Central Italy, particularly the town of Amatrice, killing over 200 people. 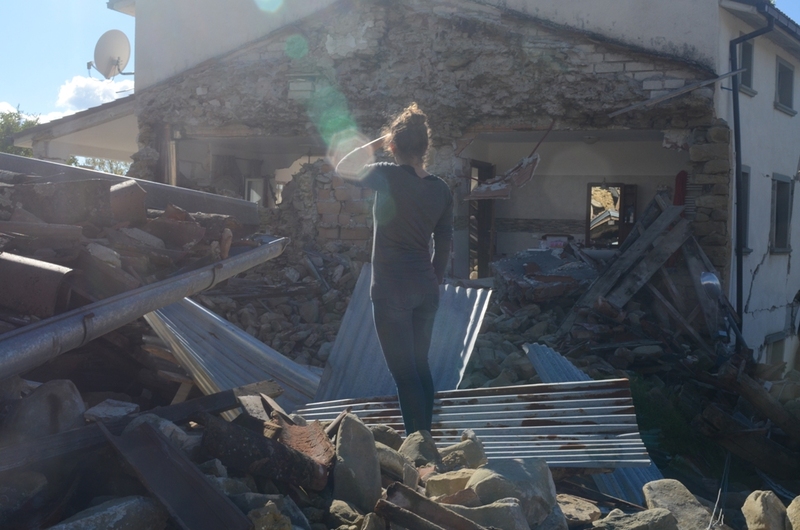 In the following months, the Earth continued to shake under our feet, this time sparing lives, but destroying entire villages in the Sibylline mountains, where the regions of the Marques and Umbria meet. The words above are the invitation sent out by a group of people involved in permaculture, transition, natural building, and the ecovillage movement, calling out to activists, inhabitants of the area, dreamers and doers, to gather for five days in an eco-centre called Panta Rei (everything flows), to train, reflect and design. Transition Network contributed funding to allow people coming from the areas affected to travel and stay at the gathering for free. The event was held in November 2016, from the 18th to the 22nd. This is the story of who we met there, what we did, what we learnt, and what we are going to do next. The first seed of this gathering was sown immediately after the August earthquake: Roberto Salustri and the Amatrice 2.0 team quickly moved into action to assist farmers, collecting their needs and bringing much-needed help in the form of shelter, appropriate technologies, solar powered systems, hay for the animals, and organising solidarity drives to pick and sell produce, particularly the prized local potatoes. This work is the best of on-the-ground, direct action, and cannot be celebrated enough. Meanwhile, another group of transitioners started to wonder: what could we do to prepare the next steps, to support community resilience and people care in the long run? Our memories went back to 2009, another earthquake in another city, L’Aquila, which had at the time just formed its core group as a Transition Town. At that time, Transition Italy had trained local activists in participatory tools, particularly Open Space Technology, and feedback from the group was that this had been helpful and empowering. Great, we thought: let’s replicate that model: we created a training event called Amatrice Re-Generation, and started to plan. But then, October came along, and the ground shook again. And again. And again. The earthquake moved closer to my own area, Perugia. I could feel it in my body: my ears were buzzing and I got constant head-aches. I slept outside, packed a bag with essentials, and put a lot of work on hold. Luckily for me, my village was spared. But structures and solidity slipped away. In conversation with my friends and co-organisers, Uri and Eliana, we realised we no longer thought of this event as something we could do “to help, after the earthquake”. We met in a space of “not knowing” and re-stated our intentions: no longer to intervene as a group of trainers and outsiders but to host a gathering to respond to our own needs for sense-making in a difficult time. To reflect this, we changed the event’s name: no longer in reference only to the epicentre, Amatrice, but with a wider focus on a “Common Emergency”. In this we wished to recognize that the crisis extended geographically but also that, as we came to realise, the earthquake in Central Italy is part of a longer, more muted emergency: the depopulation of mountainous, “marginal” parts of Italy. To respond to the earthquake is to re-imagine an entire system: how do we live as resilient people in shaking lands? Will the entire area be abandoned, maybe to “re-wilding” or as tourist attraction, empty of its inhabitants? Or can we put all the knowledge from innovative, progressive movements in service of a new dream, to re-inhabit the Apennine regions, celebrating tradition while integrating it with new visions? Our invitation for participants from the affected areas to come and be our guests was taken up with enthusiasm by a small group of amazing men and women. Two of them have lost everything: homes and businesses have tumbled down, reduced to a pile of rubble. Never have I seen people so motivated to contribute to social change. “Before this happened, I dedicated part of my time to the local community” said Patrizia, whom I’ve long known as part of the Transition movement and had just finished setting up her ecological B&B, now destroyed. “Now I want to dedicate 100% of my time to the local community”. Activists from the affected areas came to find a time and space to breathe, to cry, to find support. Professional operators and others, like myself, not directly affected, shared a need to reflect, make sense of what has happened, and try to understand what contribution can truly be helpful and healing. “Common Emergency” turned out to be an evolving, self-organising gathering, working with heart, head and hands. We were blessed by the presence of Hector Aristizabal, a teacher of Theatre of the Oppressed with a vast experience working with wounded communities. This was the most experiential and “inner” part of the event. 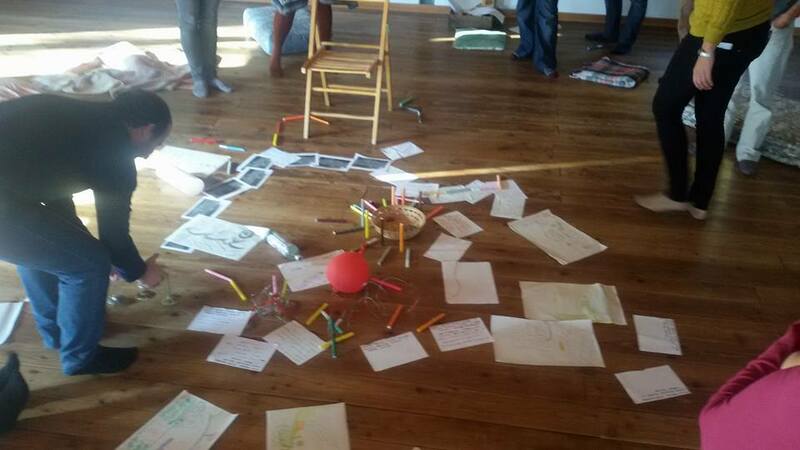 Using practices from theatre and bodywork, we created images of destruction and resilience. To this we added some tools from the Transition toolkit and Work that Reconnects: I led a guided meditation of visions from the future, and a walk in nature to gather inspiration from the natural elements around us. In an inspired moment of improvisation Uri guided us in prototyping “rebuilding” using found objects from around the room: what looked like rubble and waste was collectively re-assembled in an image of hope and beauty. In the afternoons, architects and other experts shared their knowledge and visions. Eliana, who works with eco-construction and earthen buildings gave a presentation about what earthquakes are, reminding us that the Earth is alive and moving, all the time. Technology was put to good use to connect us with architects in Chile, community activists in Nepal, and the Transition group in Lyttleton, New Zealand: hearing voices and stories from far-flung places made us feel like part of a much vaster network of individuals and groups who have faced similar challenges. The last two days of the gathering were an Open Space event. The common theme on everybody’s mind had to do with process and the “how”: what characteristics should actions taken to support communities have, in order to be truly helpful and healing? As often the case with Transition, questions resonated more poignantly than answers. What are our blocks? How can we transform them? What aids connection and deep listening, what attitudes can be perceived as unhelpful and even invasive? Quality over quantity – or, in Open Space terms, “whoever comes is the right person”. Of course we had the ambition of attracting large numbers (and the interest raised by the gathering on social media was very high: to us this was an indication, or feedback, that we were striking a chord that resonated)… but in the end we were a small group of dedicated, passionate people. The rugged terrain and rural character of the areas affected has led to a very self-organising response to the emergency. What is emerging is a diffuse, resilient leadership and we feel Transition tools, and other social technologies, can really make a difference in sustaining and nurturing this leadership in time. Care and attention put into deepening support and relationships will, we concluded, be well-placed. Because the Earth is in movement. We decided to start over. Moving from the Sibylline mountains. Beauty, sustainability, human and natural biodiversity. Keeping track, telling stories . 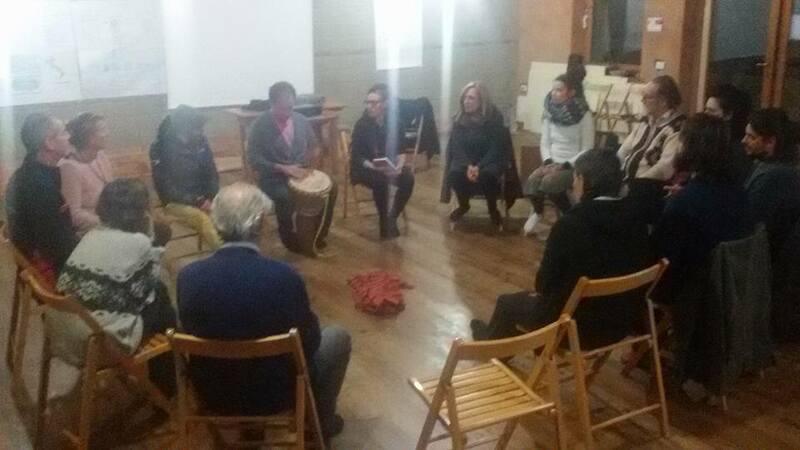 The next event will be held in Macerata – a two-day training in social theatre and work that reconnects ending in an action in one of the temporary camps. Information (in Italian) here. Get in touch via email – deborah.rimmoiso@gmail.com – to contribute with your presence, stories, talents and ideas.